Michael Bloomberg’s name is already on Johns Hopkins’ School of Public Health. But the billionaire media mogul and former mayor is giving millions more as a way to influence policy beyond East Baltimore. 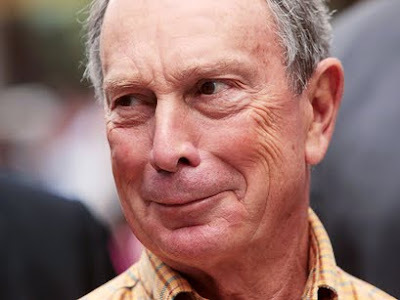 Former New York Mayor Michael Bloomberg has a problem: He can’t seem to stop giving Johns Hopkins money. By 2013, Bloomberg had already given or promised more than $1 billion (yes, billion with a “b”) to his alma mater… and he hasn’t slowed down. Publishing a book at the Johns Hopkins Press usually takes about 10 months — and that’s once the book is already finished. Earlier this year, though, the Press tackled something of a rush job: putting together a full, scholarly book in two weeks to go along with the world-class Summit on Reducing Gun Violence in America — itself a swift response to the shootings at Sandy Hook Elementary School, which took place a mere two months ago. Yesterday was day one of Johns Hopkins’ big-deal gun policy summit (and also the one-month anniversary of the Newtown shootings), and it was marked by some big-deal events: Michael Bloomberg calling for gun trafficking to be made a felony, and Governor O’Malley announcing his plan for sweeping new gun control laws for Maryland. The summit’s attendees (as well as those watching from home via the live webcast) had strong reactions to the various expert opinions about how to reduce gun violence in the United States. Some of the most intriguing reactions are below. Did you watch? What did you think?